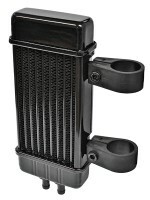 Deluxe 6 Row Oil Cooler for Harley-Davidson Motorcycles & all other Motorcycles that have vertical frame tubes. 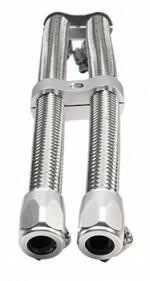 Chrome 6 Row Oil Cooler for Harley-Davidson Motorcycles & all other Motorcycles that have vertical frame tubes. 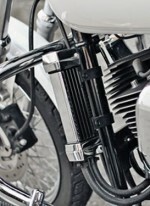 Slimline 6 Row Oil Cooler for Harley-Davidson Motorcycles & all other Motorcycles that have vertical frame tubes. Deluxe Diamond-Cut 6 Row Oil Cooler for Harley-Davidson Motorcycles & all other Motorcycles that have vertical frame tubes. 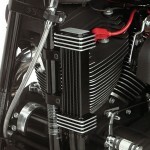 Wideline 10 Row Oil Cooler for Harley-Davidson Motorcycles & all other Motorcycles that have vertical frame tubes. 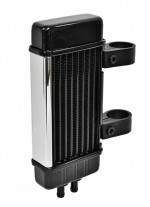 Chrome Wideline 10 Row Oil Cooler for Harley-Davidson Motorcycles & all other Motorcycles that have vertical frame tubes. 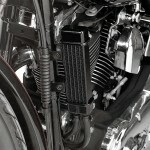 Fan-Assisted Wideline 10 Row Oil Cooler for Harley-Davidson Motorcycles & all other Motorcycles that have vertical frame tubes.